FISHING: It was the biggest reef jack Greg Pearce of Double Island Point Fishing Charters had ever seen, and it became the biggest catch. 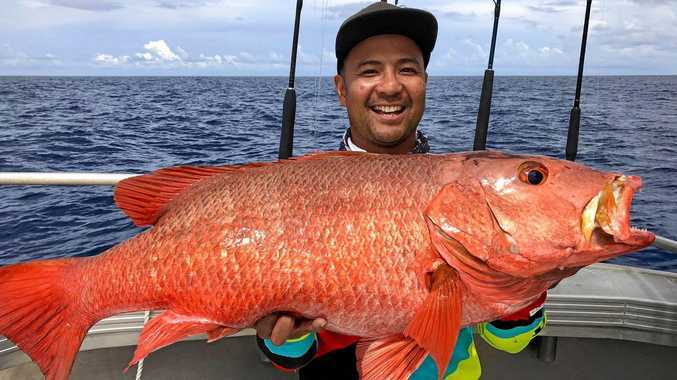 After keen angler Todo reeled in the 91cm beast, known officially as a mangrove red snapper but referred to by its nickname in Australian waters, Mr Pearce took to the DIPFC Facebook page to share the rare sight, made even rarer by the time at which it was nabbed. 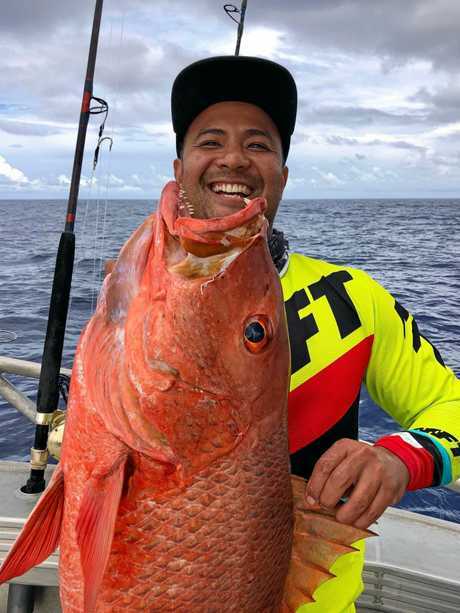 "Probably the biggest reef jack I've ever seen caught in the middle of the day, most big ones are caught at night. 91cm of teeth and bad attitude! Definitely a fish to smile about," Mr Pearce told the charter page's 9,556 followers. It's a sight Mr Pearce said he still can't quite believe. "When they're smaller they live in the estuaries, that's where keen fishermen go looking for them," he said. "When they get larger they move out on the reef, and they're not at all a common catch. "You can't go out there and target them, you can't go out there and say 'I'm going to get a bunch of mangrove jacks'. 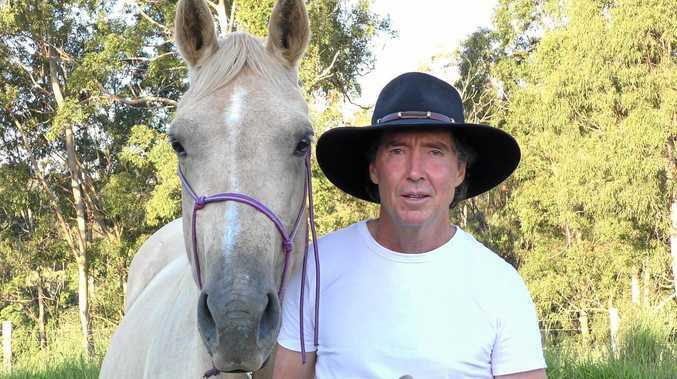 "It does happen, we see a few caught each year but they only get up to about 60cm. This is the biggest one I and everyone I know has ever seen caught." 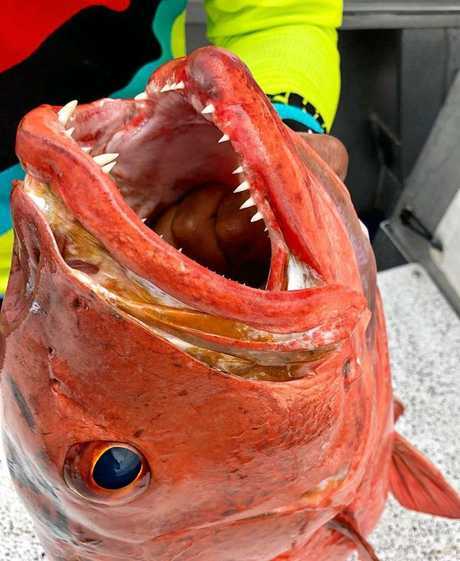 Mr Pearce said the mangrove jack, which has a "mouth full of mean teeth" and "snaps at you" when removing hooks, was also a rare sight during the day because of its nocturnal nature. He said the post, which had received almost 1000 likes at the time of printing, had reached more than 50,000 people since it was published on Sunday.